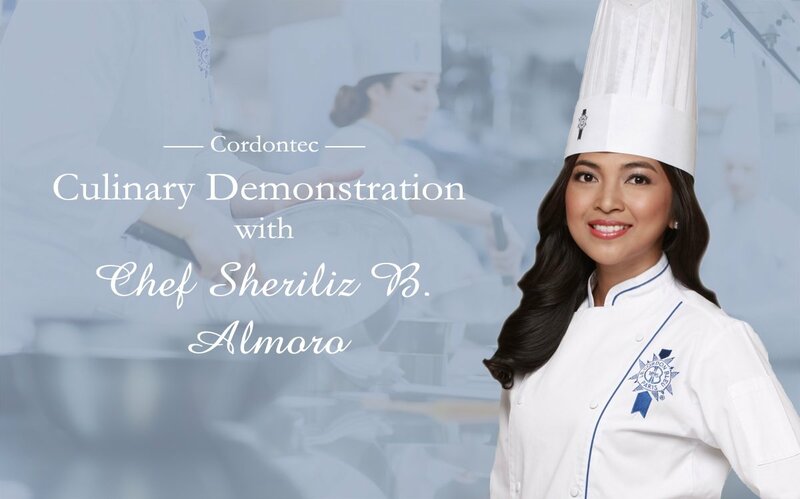 On September 17th, 2017, Le Cordon Bleu Master Chef Chef Sheriliz B. Almoro is giving a culinary demonstation in the luxurious Grand Ballroom of the Dusit Thani Hotel in Manila, Philippines. Students and members of the public are invited to join Chef Almoro as she prepares a cuisine dish using one of Le Cordon Bleu's own Cordontec recipes. After the demonstration, guests will have the chance to sample the dish and meet with Chef Almoro for questions and photos. Le Cordon Bleu representatives will be on-site to answer any questions. A great opportunity to learn more about Le Cordon Bleu's international programmes in the Culinary Arts, Restaurant and Restaurant Management, Tourism and Event Management, and other professional development courses. Seats for this special event are limited. Please RSVP to Ms. Princess by telephone at 02 817 0240, 09 177 988 267 or by e-mail at marketing@amsglobalinc.com.